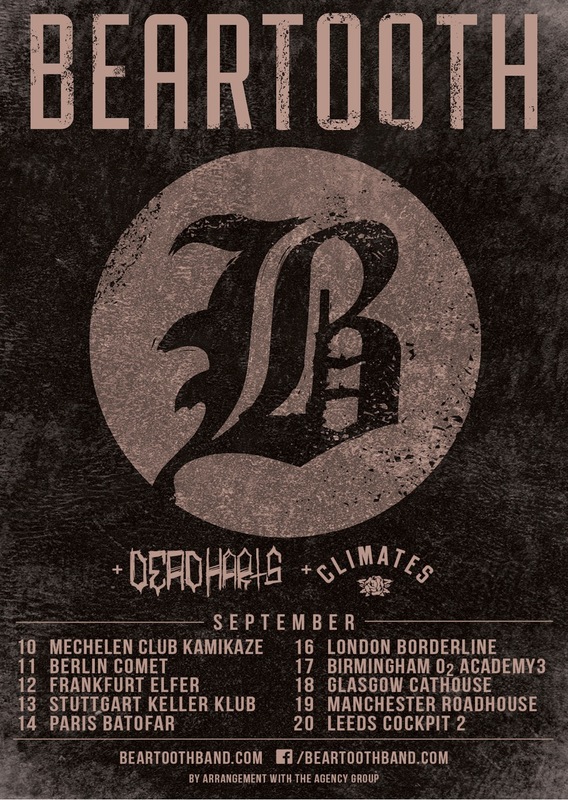 Having already made waves with their recent ‘Disgusting’ LP, Beartooth have confirmed that they will be taking Dead Harts and Climates on the road with them in September. Beartooth is the new project by former Attack! Attack! frontman Caleb Shomo. Dead Harts released their recent ‘Cult For The Haggard Youth’ LP earlier this month, recorded by Feed The Rhino bassist Oz Craggs.